This month I needed a cake that was both fast and had ingredients that I already had on hand. Fortunately, one of our choices met both requirements. The Marbled Chocolate Orange Bundt Cake uses and orange flavored cake batter, divided into two parts. Melted white chocolate mixed into one half and melted semi-sweet chocolate mixed into the other half. You then swirl the two batters together, bake, and top with an orange-flavored icing. The original recipe did call for orange oil which I did not have, so I substituted 1 teaspoon orange extract for the 1/4 teaspoon orange oil. The cake was okay. The batters didn't stay swirled the way I had hoped they would, and the chocolate taste was very muted. But the cake was moist. This month I needed something that was a little less time-consuming than the last few cakes I've made, so I chose to bake the Austrian Pound Cake. It's a moist cake with bits of dried fruit mixed in, baked in a Bundt pan. The original recipe calls for golden raisins and dried apricots. My kids are not fans of raisins, and for some reason my store was out of dried apricots, so I substituted dried cherries. The cake itself was quite tasty and moist. I think it would make a great foundation for just about any dried fruit or other addition. I did have a bit of problem with the fruit all sinking to the bottom. The recipe calls for soaking the fruit in orange liqueur and then mixing into the cake batter without any additional steps. I imagine if I had then coated in flour, I might have had better results. It's also possible that the actual fruit called for would have "floated" a little better. Either way, it's definitely a cake I would make again. 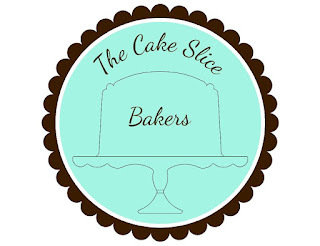 For my February bake with the Cake Slice Bakers, I chose to bake something for a small Super Bowl Party we were having at our house. The Banoffee Cake from The European Cake Cookbook seemed like a great choice as one of our guests hails from England. The original Banoffee Pie is claimed to have been invented in England in 1971. The name comes from the combination of Banana and Toffee - two of the three key ingredients in the pie, the other being whipped cream. The cake base is a simple cake with finely chopped pecans added. Cut the cake layers in half to get four layers all together and then top each layer with toffee, sliced bananas, whipped cream, and a sprinkling of cocoa power. The toffee in my cake is actually a can of Nestle's Dulce de Leche. I was a little suspicious, but the stuff was amazing! The cake was a huge hit. Even my banana-hating son gobbled it up. We had some left that went into the refrigerator where it was completely edible for an early morning breakfast, but by evening when the rest of the family was able to dig into the leftovers, the whipped cream had started to dissipate into the cake. Definitely a cake to enjoy again! New year, new book! The Cake Slice Bakers are baking from The European Cake Cookbook by Tatyana Nesteruk. For January, I chose to bake the Chocolate St. Honore Cake. This cake starts with puff pastry onto which a three concentric circles of pate a choux is piped and then the entire thing baked. You create two of these, fill with chocolate pastry cream and flavored whipped cream, layer them and top with chocolate filled and dipped profiteroles. I knew when I saw this as a choice for January that I would need to at least attempt. I didn't great confidence in my ability to complete it because I have never managed to create pate a choux that baked up correctly. I spent a couple of week watching videos and reading articles until I had a good sense for what I had done in the past. For this cake, I started with the author's pate a choux recipe, but I used bread flour instead of all-purpose flour, and I beat the eggs slightly so that I could add part of an egg if need be. One of the tips I learned in my research was that the goal should be to add as many eggs as possible while making sure you had batter with a strong enough structure to pipe out. The original recipe called for 4 eggs, but I ended up using almost 5. I added egg until the dough was smooth and stretchy, and formed a V when I lifted my mixer. The pastry cream and whipped cream were delicious. The cake was difficult to cut but was enjoyed by all. Unfortunately, we didn't get the best pictures, but hopefully they're good enough to give you a sense of the amazing mix of flavors and textures. About the only thing I would change the next time is to only make one layer. 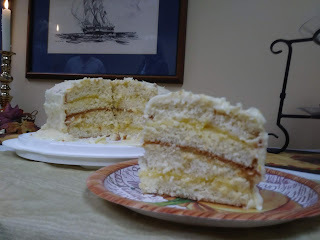 The two layers made the cake a little cumbersome both when cutting and eating. After having spent so much time on a cake from another Mary, I decided to bake the cake attributed to Mary Lincoln. This almond cake is pretty straight forward. I did substitute 1/2 t of almond extract for some of the vanilla simply because I love the smell it produces. The cake was light and flavorful. The cook book suggests topping with 7 minute frosting, but that seemed completely unnecessary. If you were looking for something a little more decorative, I would simply add a nice flavored glaze. December represents the finishing of one cake book and the preparing for new one. I have really enjoyed baking out of The Perfect Cake. I have used several of their recipes for a special treat for my family (the microwave mug cakes were early favorites) as well as meal enders for special occasions. The clear instructions have given me courage to try baking cakes that went a little beyond my usual comfort zone. 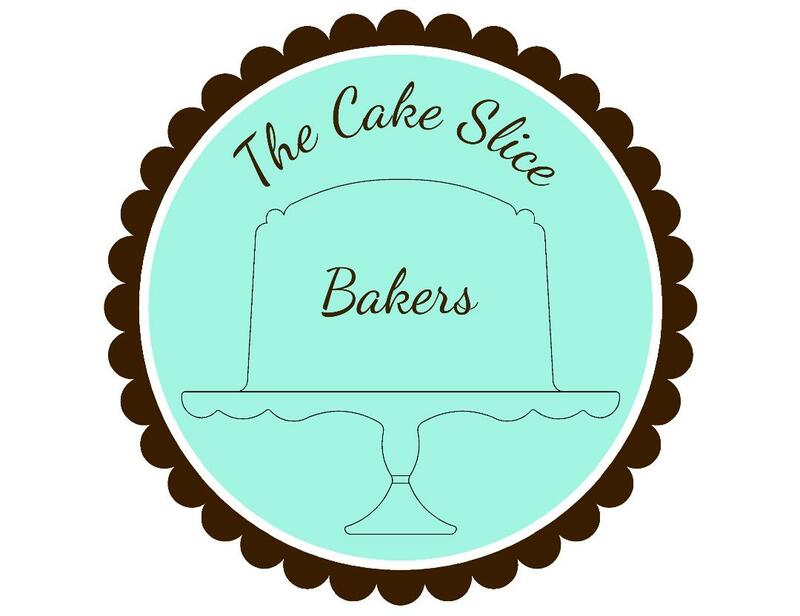 The Cake Slice Bakers have a tradition of allowing each baker free choice of any recipe in that year's cook book for our December bake. I chose a cake that had tempted me back in February but definitely felt outside my abilities, the Chocolate-Espresso Dacquoise. A dacquoise is a meringue that has finely chopped nuts folded in before baking. For this cake, there are hazelnuts and almonds added to the meringue. Often, you bake each layer separately, but America's Test Kitchen recommends baking one long sheet and then cutting into four separate rectangles. I must confess, three of my four broke during the cutting process. This did not cause any problem for assembly as each layer was coated in ganache and espresso buttercream. The step-by-step assembly pictures in the book made this completely understandably and easy to do. The entire cake is then covered with the buttercream and more ganache and the sides coated with almonds for a cake that looks almost as lovely as it tastes. The buttercream used in this recipe is something called a German buttercream. 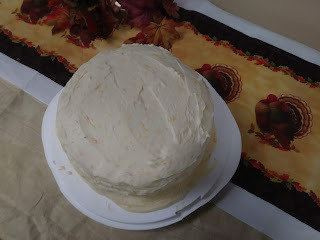 Until I made this cake, I had never made anything other than a traditional American buttercream. Oh my! Have I been missing out. The texture was so smooth I could easily have just eaten that and skipped the rest of the cake. I will definitely be experimenting with other cooked buttercreams in the future. I wasn't sure how this cake would be received by my family (especially the youngest), but it was universally loved. One of my children declared that he wanted this to be his birthday cake next year. I've finally returned to baking from The American Cake. I've actually baked this particular cake twice, once last spring and again in November for a work potluck. In the book, it's called a Robert E. Lee Cake, but that seems a bit of misnomer since he neither created the cake or baked it. So I rename in honor of the woman who did all the work (assuming she didn't just take credit for the work of one of her enslaved persons). This cake consists of a light lemon cake layered with lemon curd and covered with a citrus buttercream. The lemon cake is one of the best I've ever made. The buttercream is very tasty; the use of both orange and lemon juices really sets it off. Where I've had trouble both times is the lemon curd. The first time I made this cake, I followed the recipe as written. The curd was very sticky, and I felt overcooked. It was difficult to work with as it tore the cake when you tried to spread it. The second time, I used my own lemon curd recipe, which while quite delicious on toast, is a little too loose for a filling. As the day went on, the lemon curd oozed out between the layers and mixed with the buttercream causing an almost melted appearance. It was, however, still quite yummy. 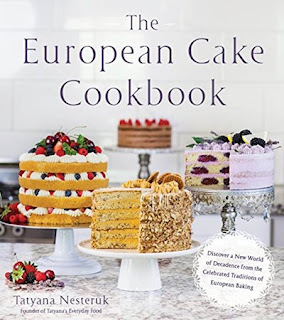 While I'm somewhat tempted to try a third time with a lemon curd that's somewhere in the middle, or maybe mixing the curd with a little bit of whipped cream, for now I'm going to put it aside and sample a few other recipes from this book. Hi, I'm Kim. I'm a homeschooling mother of three. I like to cook for family, and I love to bake for any who enjoy eating.